Woah! 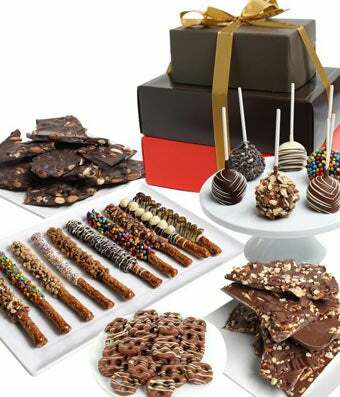 Blow someone special off their feet when sending the Deluxe Chocolate Covered Gift Basket Tower. Abound with a generous array of hand-dipped chocolatey goodness, this surely makes a memorable gift for just about any occasion. Send today for instant smiles!